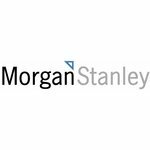 Investment Banking Valuation Controller (Budapest Office), Morgan Stanley - Aplica pe eJobs! Valuation review Group is in charge of providing an independent valuation control across the entire spectrum of financial instruments within the firm's sales and trading inventory. Products range from plain vanilla to the most complex structured derivative transactions covering many asset classes like Equities, Commodities, Fixed Income, etc. The team works closely with the trading desks, risk management and senior Finance management. Due to the nature of the role and the complexity of the products, the positions offered within the Budapest Office provide a unique opportunity within a top tier investment bank.